New technologies, and the digitization of works of intellect in particular, have led to an explosive expansion of transnational litigation, challenging the traditional premises of private international law. 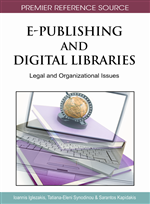 This Chapter considers the rules under which European and U.S. courts may assert jurisdiction over cases involving digital libraries: notably copyright claims, but also other IP rights. Initiatives to create a transnational set of rules or principles are also examined. The spectacular technological change and economic expansion, which has come to characterize the so-called age of globalization, has brought to the fore the transnational legal aspects of intellectual property and information technology, as established rules and longstanding conceptual premises are being questioned. When the original international system of intellectual property protection was put in place in the nineteenth century, intellectual property rights were effectively perceived as statutory creations of the local sovereign; international instruments sought to extend such national regimes to foreign rights as they entered the forum’s territory, or to secure reciprocal recognition. The result was the principle of territoriality: national jurisdiction could only extend over rights granted, and infringed, in forum territory. Applicable law (lex protectionis) would only be forum law (lex fori). Today, we have to deal with conceptual shifts: policymakers view intellectual property rights less as privileges/entitlements granted by the State and more as absolute rights to be enforced and protected globally; industry has replaced the creator as the pivotal force of IP law; intellectual property itself is becoming an ever specialized field; ubiquity may they key word to characterize the economics of both legitimate exploitation and infringement of IP entitlements, and this makes the territorial model of protection appear increasingly out-of-date (Hatzimihail, 2008). However, reports of the death of territoriality have been greatly exaggerated. For better or for worse, disputes arising out of the digital environment have to submitted to the domestic courts of Country A and/or Country B. Rather than removing online activity from state control, ubiquity may well be subjecting individuals, including creators, distributors and users of digital material to the control of additional States (20062006Yahoo! v. LICRA, 2006!!). This Chapter is concerned with civil jurisdiction over intellectual property rights pertaining to digital libraries – principally copyright and neighboring rights, but including the sui generis rights over databases, and, occasionally, rights over distinctive marks (trademarks, designs) and technological innovations (namely patents, especially in IT). Our starting point will be the common European jurisdictional framework, which tends to be the original point of reference for any international discussion. We shall then consider U.S. law, and subsequently the latest developments towards creating an international instrument addressing jurisdiction over intellectual property cases. Before we proceed, it may be useful to take a cursory look at two other categories of legal relations pertaining to the transnational legal treatment of digital content. First, civil liability arising from illicit conduct, notably through non-compliance with the regulatory regime (as in the case of misuse of protected personal data) or through the violation of personality and publicity rights (notably defamation). From the point of view of international civil jurisdiction, such tort claims will be treated not unlike infringement claims: at the moment, it is the general rules on jurisdiction over tort that are, in principle, applicable to both. In fact, some of the leading cases invoked with regard to infringement claims originated in defamation litigation. Second, issues regarding compliance with regulatory rules, notably on data protection (and, on occasion, market regulation such as competition law or even consumer welfare). The traditional rule has been for each legal system to determine unilaterally the scope of its own regulatory framework, and for its regulatory authorities to apply only the regulatory law of the forum. Cyberspace has made it easier to evade such regulation – by making it easier to “shop” for venue, and by obscuring or disaggregating the spatial connection(s) of the conduct in question. In response, regulators sought to expand the extraterritorial reach of their respective regimes, which may lead to the cumulative application of different regulatory regimes. The Data Protection Directive has established a “bilateral” system, which allocates jurisdiction between the Member States’ authorities on a territorial basis. Individual Member States may still however use effects-based doctrines to expand their jurisdiction over non-EU based operators (Kuhner, 2007).